Lennar Southeast Florida Division wanted to introduce and create awareness for their newest home concept in the South Florida Region, the NextGen “Home Within a Home” Concept, a first for the home building industry. Lennar Corporation, founded in 1954 and headquartered in Miami, is one of the nation’s leading builders of quality homes for all generations. Lennar builds affordable, move-up and retirement homes in Communities that cater to almost any lifestyle – such as urban, golf course, Active Adult or suburban Communities. Lennar reached out to The Conroy Martinez Group to help launch and create awareness of their newest home in South Florida. The Goal was to create as much awareness as possible to support the ongoing sales team efforts. The Conroy Martinez Group conducted an aggressive media relations campaign on behalf of Lennar. The agency worked with the client to create a media preview event at one of the homes to give press a sneak peak of the NextGen home concept. Dozens of media were invited to tour the new home concept and speak with Lennar spokespeople. The firm helped publicize this new home that was filling a need. According to the Pew Research Center, there was and still is a higher percentage of young adults aged 25 to 34 living with their parents than at any time since the early 1950s. Older parents have begun moving in with their adult children at increasing rates too. 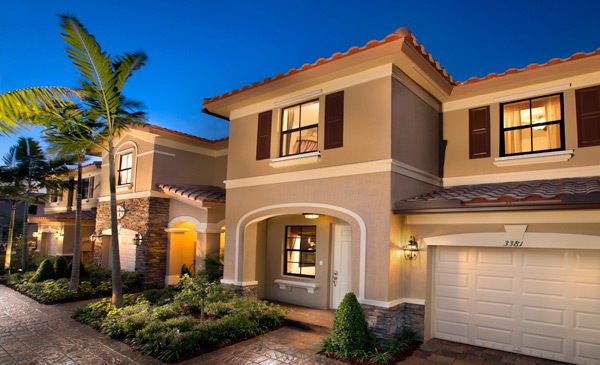 To satisfy the evolution of the ever-changing home, Lennar created the NextGen - The Home Within a Home®. This intelligent home design includes a separate private suite with its own entrance, living area, eat-in kitchenette, bedroom, bathroom and laundry area. This private suite could be integrated into a home’s living space or kept as a private living quarter. All Next Gen homes have a private entry door for the suite as well as an interior door connecting to the main home. The first community in South Florida to feature the Next Gen Home concept was in Homestead in the Lennar Napa Collection at the Vineyards. The community featured the Next Gen product in 60 percent of the homes. The new NextGen home was featured on the front page of the Miami Herald Business Section, South Florida Sun-Sentinel, Miami Today and several other local print and online publications. In addition, several television stations including WFOR, Ch. 4, (CBS), WSVN, Ch. 7 (FOX), WPLG, Ch. 10 (ABC) and WSCV, Ch. 51 (TEL) did feature stories on the home and its cutting edge approach generating millions of impressions for Lennar. More importantly, foot traffic and sales at the Vineyards increased and a waiting list for the NextGen home was created due to the increase in demand.